The mission of the Belgian Society of Intensive Care Medicine is to organise and to promote the Quality of Care administered to patients admitted to intensive care units. 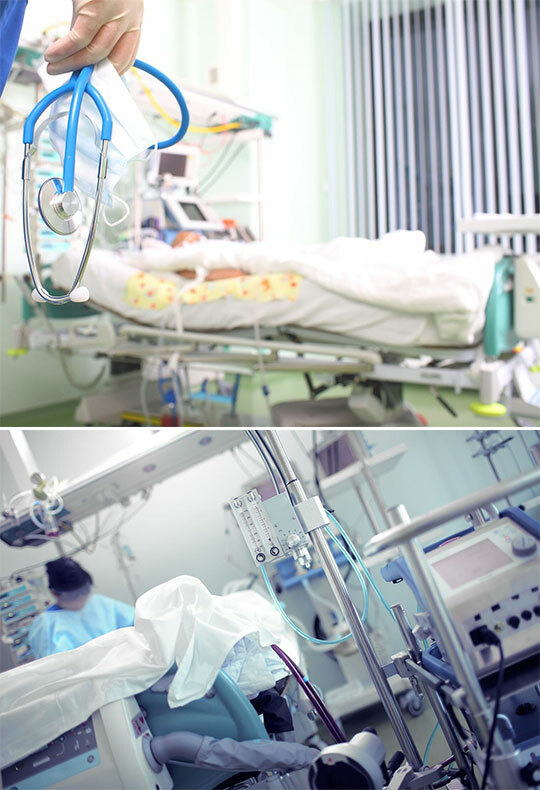 The core business of intensive care medicine is the observation, the monitoring, the diagnostic process and treatment in patients with life threatening failure of one or more vital organ functions. The society is open for all health professionals involved in intensive care medicine. To reach this goals the society uses following levers. 1. The promotion of the education in intensive care medicine. The education in intensive care medicine in the classical medical curriculum is very limited. To cope with this problem the society organises with the universities and expert intensive care specialists an interuniversitary course. This course, spread over two years, and a subsequent examination are essential elements in the process of accreditation. Moreover a clinical exposure to intensive care medicine of 24 months in an ICU department with educational certification is mandatory. The educational certification of training departments is promulgated by the accreditation committee for intensive care medicine. The SIZ is also actively involved in the organisation of several high standard scientific meetings on intensive care medicine. 2. The support to medical research in the domain of intensive care medicine. As intensive care medicine is confronted with specific problems, the society considers the promotion of research as a first line mission. The acquirements of new methods and innovative techniques is stimulated by four study and travel grants for junior intensivists (750€ each ). The yearly SIZ award of 3750€ has been created to stimulate researchers or research groups to perform original clinical or experimental work in the field of intensive care medicine. 3. The diffusion and exchange of the knowledge and science in intensive care medicine. To promote the diffusion of this knowledge the SIZ organizes every year the SIZ Annual Meeting that focuses on one ore two actual topics in critical care medicine. Furthermore, SIZ PopUp meetings focus on particular topics and are organized throughout the year. The SIZ also supports the ISICEM congress which is a high level intensive care congress. To improve the quality in intensive care medicine a working group ad hoc has been created and the results are presented at the Springmeeting. The Belgian Society of Intensive Care Medicine can formulate recommendations and give advices in this specific domain to all concerned persons or authorities. The practice of intensive care medicine encounters its own problems. Organisational issues, medical and nursing staffing, equipment, ethical questions and financial implications have characteristic properties in this field of medicine. Intensive Care Medicine is team work by definition. To promote professional exchanges the SIZ Medica maintains close contact with the physiotherapists (SIZ kine) sections.